Meters offer economical, accurate solutions to medium flow range solutions. Designed with rotatable scales of air-water direct reading gradations, meters show air and water markings. 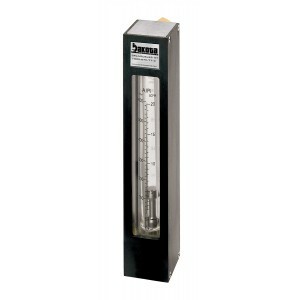 Incorporating traditional variable area precision glass technology, these rugged brass in-line flow meters offer accurate and economical solutions to medium flow range measurements. These meters are designed with unique rotatable scales of dual air-water direct reading graduations showing SCFM and SLPM (air), as well as GPM and LPM (water) markings. No Valve. Incorporating traditional variable area precision glass technology, these rugged brass in-line flow meters offer accurate and economical solutions to medium flow range measurements. These meters are designed with unique rotatable scales of dual air-water direct reading graduations showing SCFM and SLPM (air), as well as GPM and LPM (water) markings. Valve included. 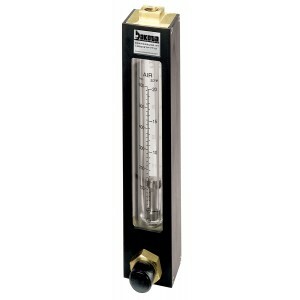 Incorporating traditional variable area precision glass technology, these rugged brass panel mounted flow meters offer accurate and economical solutions to medium flow range measurements. These meters are designed with unique rotatable scales of dual air-water direct reading graduations showing SCFM and SLPM (air), as well as GPM and LPM (water) markings. No Valve. 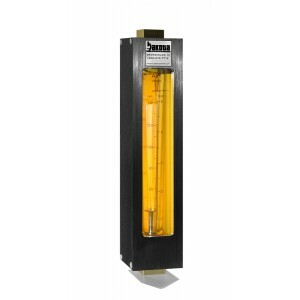 Incorporating traditional variable area precision glass technology, these rugged brass panel mounted flow meters offer accurate and economical solutions to medium flow range measurements. These meters are designed with unique rotatable scales of dual air-water direct reading graduations showing SCFM and SLPM (air), as well as GPM and LPM (water) markings. Valve included.